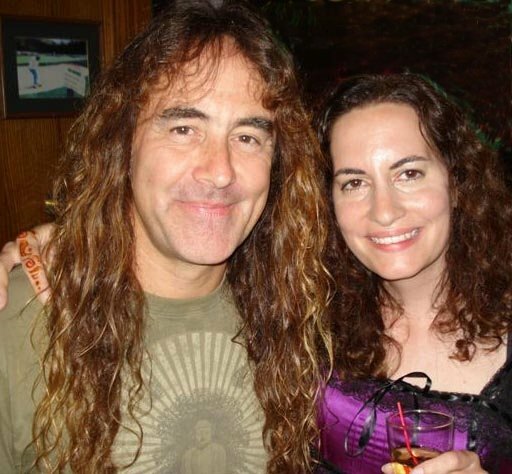 Today is Steve Harris’ birthday – the bassist and founder of Iron Maiden was born in 1956, so that makes him…56! Here in the States, he’d qualify for AARP. Yet here in the States, we’re gearing up for a 29-date summer tour from Steve and the other “boys” in the band (ranging in age from 53 to 59). And that’s a drop in the bucket if you think about the number of shows they’ve played since reuniting the “classic” lineup back in 1999. I’ll pull some stats later, but I have a feeling the count is larger than all their ages combined. I’ve been a fan since the tender age of thirteen, back when it was hard to believe I would ever be 40 (ack!) and gray (gag!). I never dreamed they would a) still be touring and b) appear better than ever, thirty years later. And wilder yet, that I’d still be following them. Soon after they reunited with Bruce and Adrian, I saw them play Madison Square Garden (2000). 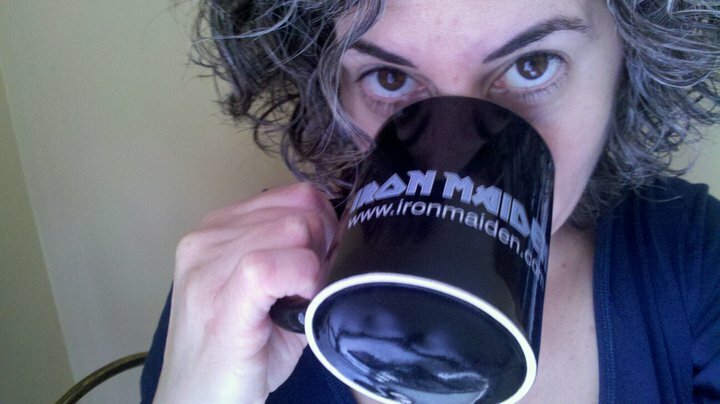 As all the kids clamored to buy the black T-shirts emblazoned with Eddie on the front at the merch booth, I found myself saying, “I’ll take the coffee mug, please.” And I thought, gee, you know you’re getting old when you go to a rock show and walk out with a coffee mug. 2000. Dang, this mug is now 12 years old. Time flies. And I’ve seen the band at least two dozen times in four countries since then. We’re never too old to rock and roll. Cheers!